To all the Mommy's on NUTANG!! Behold the mother with her newborn child! An icon of a hope that never dies. Yet this love lies too deep to be defiled. As though our thoughts might turn the winters mild. For only thus our losses are regained. Than that which cradles innocence unstained. Hey guys... you all know that I have been so unhappy at my current job right? Well, I am hoping I will be working at a new place soon. I have my interview today and I am so nervous. Can I please ask all of my friends here at Nutang to think positive thoughts about me getting this job today? I really need a job change and I really, really, want this job. Thank you (in advance) for your positive thoughts and support. Today I went to downtown LA to shop for fabric and discount stuff. I saw sooooo many knock off Coach purses and Juicy Coiture (however you spell it). I am just about ready to start my hawaiian dance school therefore I was shopping for material to make a new dance skirt. So anyway.... I have not been to the garment district before so I went with Hiroko to look for stuff. It was SO FRIGGEN HOT!! It was 95 degrees in the sun and must have been 85 degrees in the shade. I felt like the heater was on in the shade. If the wind blew, it blew hot air off the asphalt roads. I felt like I was in the sauna at the gym.. except with more people around. ha ha. Bottom line... I bought socks for my boys and fabric for my daughters dance skirt, oh yeah... I also got an awesome tan and sunburn on my cheeks and nose. There are just two days left of my "vacation". Back surgery was the BEST thing and just the RIGHT time. Some things are just blessings in disguise. At first I viewed my surgery as something scarey and absolutely terrifying! Preparing myself mentally and emotionally for surgery was making my body so tense.... However the pre-op surgery drugs helped to keep my body relaxed. During all this time, I did not have to deal with my incompentent boss, my overwhelming job and the fear of drowning in my work. I feel like a new person, or shall I say I feel as if I have been given "myself" back. My overall health is better, my weight is under control, my skin is smooth and clear, my hair is strong and healthy... Yes. Life is good. I really hate the dentist now. I went there and they really did not do much with my teeth because the stupid novacaine did not work. The maximum dose that you can give someone is 8 shots. They gave me 5 shots and I could STILL feel sensitivity in my tooth and gum. I totally did not get it. All I know is that I was not feeling too good. I HATE shots therefore I was not happy about getting more than one. I could feel the water, the air blowing on my tooth and the drill. I was really trying hard to imagine being in the warm sun on a tropical beach enjoying hearing the ocean hit the sand... but it did not work! I have to go back in two weeks. It has been 7 hours since my first injection and I am finally feeling normal again. But now, my mouth hurts so bad. I feel a lot of pain near the back of my mouth like the needle kept poking at my jaw. I really dont think he is too good with the novacaine thing. This is a new dentist. I am too scared to go back! Well, my back is all healed and I am now ready to go back to war, I mean work! I am not too enthusiastic about it but I am ready. I have had a nice long break. I even began slacking on my school work as well. I guess I was so over worked that I was enjoying not doing anything at all. So today, I am off to the dentist for two hours. I do not like going to the dentist therefore when I do go, they have to get everything done while I am in that chair, because once I get up, I am not coming back for another year!! ha ha! My apartment is an all electric building. This means we do not have anything that runs on gas including the stove and water heater. Because of this, management decides that they want to install all new lighting fixtures to save on electricity. Now my room is rather dim. I do not like the new fixtures because they are ugly and not very bright. Continuing to browse I discovered these really cute lights for my bathroom. Summertime is coming which means I will need to get my ceiling fan going. Speaking of which, Farrey's carries ceiling fans as well. 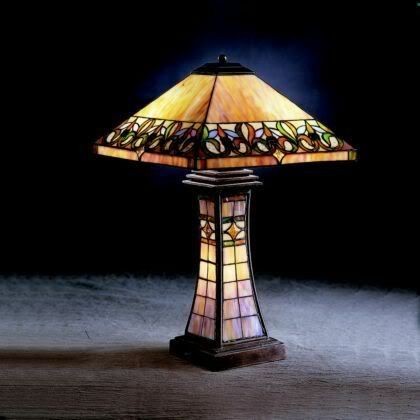 Farrey's offers a wide selection for all your home lighting needs. My manager may be happy to know that Farrey's even supplies energy efficient lighting fixtures as well. I LOVE ghost stories. Have you ever sat around at night, in the dark, with your friends and took turns telling your favorite ghost stories? Maybe you were more likely to watch a spooky movie with your best friend or significant other. Either way, ghost stories or scarey movies have their way of pumping adreneline into our bodies causes us to be excitted, scared and wanting to know more. I recently discovered this blog on blogspot that documents real ghost stories and blogs about them. If are like me and like to be "scared", check out this blog ghost stories.